Okay I remembered earlier today that I had not given an update on my blog about my dad or my big boy! I had sent out a prayer request to a few close friends, but that's it. Update on my dad: He's out of the hospital, but not feeling well. He'll see a pulmonary specialist on Monday. :( Please keep him in your prayers. Big boy: On the day of the surgery, he woke up in recovery and I was trying to talk to him. He said "Mom, can I smile?" And he did! That was the worst of the complications from this surgery - facial paralysis. I said "Yes, you can smile!!!" He was so happy and I was praising the Lord right along with him. He said "thank you God!" There was a delay in getting him out of the hospital, because he couldn't hold anything down. It was because they had done the surgery so close to his inner ear and he was getting dizzy every time he would move. The doctor eventually had to call in some phengran for him. That helped and yesterday was so much better. Today was even better. He is still in pain at times, but the dressing was able to come off and he is doing well. We even played cards tonight! Praising God for doctors when we need them! Please keep my dear friend Tanya in your prayers. She's 2 weeks past her EDD (doctor's) and 9 days past her calculated EDD. Either way - she's ready to have this baby and I'm ready to be there for her!!! The Scrap Matters site was very slow today - flooded with people! I was glad i was inside the house shopping instead of at Walmart! Did you hear about that poor man that was trampled to death? All in the name of greed!!!!! It really turned my stomach to read that! Oh, I forgot to mention that we decided against our camping trip on Wednesday because of Bubbs' surgery and recovery. On a better note, I was able to do a black friday speed scrap tonight and I love how the Layout turned out. This is our new Mr. Coffee Espresso maker - $27.99 at walmart! These are for Digi Keepsakes new kits (using Monica's templates as well). These aren't linked as they don't really have a home right now. Monica has her new kits in the grab bag (shhhh! LOL) and so we haven't uploaded layouts - but I'm so excited with the way these turned out! And when I went into the SM Forum, I saw that Monica had made the big announcement, so I could make my big announcement early. I made my first Creative Team (CT for short)! How cool is that?! 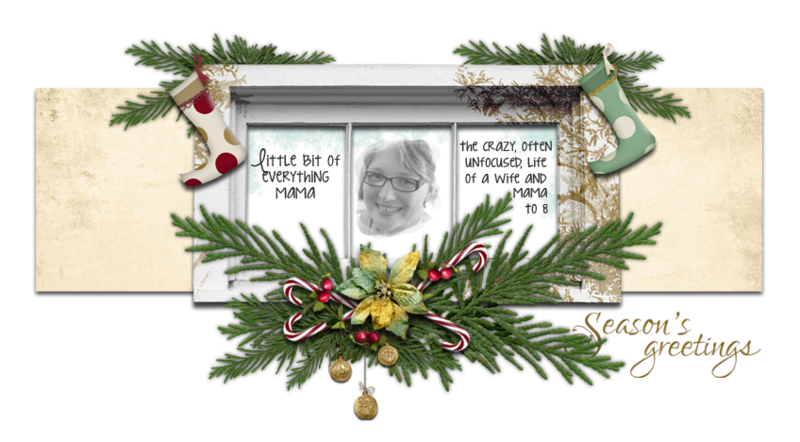 I'm part of the new Template CT for Digi Keepsakes by Monica - a designer at Scrap Matters. Now, some of you might be asking "what is a CT?" When I first got into digi, I kept seeing this phrase all over the digi scene. And I thought "(insert blank stare here)". A Creative Team is a team of ladies who design layouts using a particular designers products. In turn, she receives all of the products for free earlier than everyone else can purchase them. In this case, my primary responsibility on this team is to use Monica's keepsake templates (I LOVE templates!) and any kits that she releases to make layouts for her to advertise with. This shows her products in use so that people can get ideas on how they can use them. I love templates! This was the very first thing I learned how to use in Digi when Anna and Naomi explained Ctrl-G in PSE! So, when she put the call out there, I was so excited to apply. I was shocked to be chosen, though!! I've been digi scrapping for almost 5 months now and this is my 2nd team to apply to. The other was a couple of months ago and my layouts have really progressed since then. In an effort to really fulfill the mission that our family has committed to, I needed to make a challenge for myself. I'm putting it on my blog for the "world" to see so that I can have more accountability for it. Hubby works nights and thus doesn't have the time to "check" my bedtime. So, this is a drastic accountability measure. As we near the busy holiday season, isn't it important for us to be on our up and up, our best, most energized self? Isn't this important in our motherhood, as well. I've put these three things in order to have that for myself. And while I do realize that many people don't have the same spiritual convictions and beliefs that I do, I encourage you to do as much of this challenge as you can. If you don't have a quiet time with God, I would suggest that you spend some time in prayer and open your heart. What I have found out is that this a big cycle. I can't do #1 if I don't do #3. I can't do #3, if I don't do #2. And #1 inclines me to do #2. So, post the challenge banner on your blog if you feel so inclined. Make sure and upload it to your photobucket account before posting it on your blog. p.s. all the papers and elements to make the banner are from Erica Zane's Secret Sage kit - available at Scrap Matters.com. First I want to ask for a special prayer for my dad. He's in the hospital right now with pulmonary hypertension. We went to see him this afternoon and had a special visit. My sister then came and then my mom. The room was quite full with all of us but he was so glad to have all of us together. The only one missing was my sweet hubby (a.k.a. the most incredible man in the world). I also want to ask for a special prayer for my big boy (our newly named - arrow). He is having surgery on his ear on Wednesday morning. Please keep him in your prayers for precision on the doctor's part and quick and full recovery for him. Life - we made a family mission statement last night (Sunday). Big P, our arrow (C.12.B.) and our girly blessing (P.9.G), and I sat down and talked about what our family's purpose is and tried to define our activities - what needed to go, what needed to stay, and whether to add anything or not - all based on our family's mission. To serve God and each other by the wise use of our time; to walk through the goals set forth that will allow us to come into our full God given callings. And in normal people terms - get rid of the unnecessary junk that has no eternal purpose! If you are still with me... I have some super exciting news to share, but I can't share it yet. No, we aren't expecting. It's not that good. It's good, just not that good! And the freebies - they aren't from me but they are from Scrap Matters awesome designers, which means they are excellent!!! And I've seen the whole kit (a big perk for being on the SMG) and it is awesome!! If I don't get on here before Thursday - have a wonderful Thanksgiving!! Ladies, if you have checked out the layouts in my gallery, you might know how much I love journaling. And if you are a journaler, you would likely have received a little notation about such in a comment I have left for you. But, I haven't seen enough journaling on some of the layouts going into the gallery and am often left wondering about the rest of the story. Have you ever thought about what your children will want to know when they look through these scrapbooks you are making? They are going to want the who, what, when, where, etc. We know that! But what about how you were feeling on that special day? What they did that made that picture so special? What was going on that you didn't capture on film (or SD card!)? So, here is my challenge. I would love to see layouts where you don't have much journaling, with more journaling added. Sort of like a before and after. And the prize? A free copy of ACDSee 2009 Photo Manager. Yes, you read that right! It's a $50 value!! I got it as a freebie when I ordered mine and I want to pass on the love! That's it! You don't even have to pay shipping! How cool is that?! I'd love it if you talked about the challenge on your blog and linked everyone back here, too. Okay, before I dive into the subject of that little title, I thought I'd update on how the retreat went. It was FABULOUS!!! That's red for Rubies, of course! Nancy was superb, of course, her message was timeless and so encouraging. She did a point by point on Isaiah 40:11 about the shepherd and how this relates to mothers and mothering. It was beautiful! We also got to hear not one, but 2 incredible messages from Vange. And Serene and Pearl graced us with their beautiful encouraging music - many of the songs from their new CD, This is Our Road, which is a CD with all songs about marriage. On Friday night, when getting ready to purchase the items I wanted from the book table, I realized my money was missing! All of it! I was discouraged, but held on to the fact that it dropped somewhere in the dining hall or the conference room and that God really knew what was best. I kept holding to the Philippians 4:6-7, Be anxious for nothing, but in everything, by prayer and supplication, make your requests known to the Lord... I had done a digital framed print of this verse with Bible Art to give to Nancy, the girls, my dear friend Kelly who had organized the retreat, and one for a giveaway. And on to my title... Several weeks ago I had my handwriting made into a font by Darcy Baldwin so that I could use it on my digital layouts. I'm fairly certain I blogged about it. Hmmm. Anyway, I purchased the non-exclusive font (since it was cheaper) which means that she can turn around and use it to either sell or giveaway, if she likes it. I teased Big P that I would be honored to have my handwriting chosen to be sold! And guess what?! I was browsing the sweet shoppe site and I found this!!! How cool is that?! Yes, I'm the sweet one! Heehee! And that's my little star and heart doodles. (Image is linked) I used this font for the names in the directory that I did for the retreat, because I kept thinking that the retreat had such a homey feel last year and I wanted to recreate that in the directory. I also used really cool stitched frames by Britt-ish designs for the pics! Oh, one more thing. I hooked up with a sweet friend I had made at last year's retreat and we both brought our Dulcimers and were played a bit on Saturday afternoon! She's taken some classes and was showing me some strumming and cords and it was really cool. It's encouraged me to get the dulcimer out and put it to use! :) We are going to learn this thing! That's it for now... Have a blessed week! This Friday, P.9.G. and Baby A are going with me to Little Rock for the 2nd Arkansas Above Rubies Retreat! I went last year and had an absolute blast. This is my 5th Above Rubies retreat! I love the AR one because it is quaint. LOL I have been either helping or planning for Texas for 3 years (2006, 2007, 2008). When I went to AR, it was nice to just sit. This year, though, I really wanted to help my dear friend, Kelly, and volunteered to do the directory for her. She let me! :) It's been really fun, but a big project none the less. So, this is the 3rd Above Rubies Retreat directory I've done and each one is getting better, as I get more experienced at doing it. Kelly and I have had a great time talking about various aspects of the retreat, things that she is doing differently this year, and both getting uber excited about it all! I really love Nancy Campbell and her straight from the Bible teaching. It's refreshing! Serene and Pearl will be there again this year singing. And they have a new album out with songs about marriage!!!! Vange will be talking, too. I haven't heard her since 2006! She's a knock your socks off kind of a gal with her strong messages and revalations for mothers! Woohoo! So, there's my little preview of what the weekend has in store. If you don't know about Above Rubies, please check out their website here! This is an incredible ministry that has been around for over 30 years ministering to women in their highest calling as wives and mothers. I look forward to each issue of the free magazine! Which reminds me that my children need to check the mail because I heard that all those around me have gotten theirs! I haven't updated my blog in several days and am in the throws of a big project for the upcoming Above Rubies retreat (next post), so I'm going to toss up some new layouts that I have done recently - while my littles are outside playing. Was I surprised about the election? No. This is what I figured would happen. Obama really said many things many people wanted to hear. Well, they wanted Change - they are going to get it. We are all going to get it. Our church is having a prayer service tonight to pray for our nation's future. I'm sorry that I won't be able to attend. There isn't a nursery and with Big P working at night, it's just too much for me with all the littles. So, I'll be praying here. We are seeking God's direction for what we should do to prepare for the changes that our country may be facing. For months there has been talk about homeschool parents needing a degree to teach their children (since that thing in California). Big P proposed to me this morning that we need to think about me pursuing a teaching certificate. Although we totally and fully believe in the Sovereignty of God, we also believe that He wants us to abide by the law (unless that law disagrees with His law, of course). There may come a time that I will need that certificate in order to teach my children at home. I'd rather be in the offense than the defense. One minor problem - you have to have a Bachelor's degree before you get a teaching certificate. Hmmmm.... don't have one of those. So, yes, I'd be starting from scratch. Thankfully we know about College Plus and course credit via the CLEP and Dantes. The challenges over at Scrap Matters are incredible. This Monday a challenge was posted by Britt to do a layout on a movie (favorite, recently seen, etc.). Although I would have never thought to do a layout on Fireproof before, this really was an important thing for us and so I did.... (this will go into Things We Do) when I get my Library of Memories set up. Image is linked for credits or if you want to read the journaling. I'm done with my little sister's pages for her birthday. She's not really little - she's going to be 24 on Saturday. I can't reveal those yet, though. I ordered all the pages for B.2.B. 's baby book. So excited to get those. They will be going into a Creative Memories album. I have some pages from what was going to be B's baby album along with some wedding pages and I'll just be taping my digital layouts on top of those. I'm having them printed on a glossy paper, in the width of a CM album, so I think it will work well. I'm seriously considering going to the 3 ring American Crafts albums that Stacy Julian suggests. Either those or the Stampin' Up albums. Hmm, decisions decisions. I've been working on some Slow and Steady Get Me Ready activities with the boys. I hope to scrap pictures of those tonight during the speed scrap. Well, I need to feed my crew, so I better get. Although we voted for McCain and Palin, I know fully that whoever God deems necessary for President will win this election. Our Pastor sent this out today and I think John Piper captures the essence of my views on this election. In fact, I was just saying a few days ago to much of our family that I pray that Christian's won't be upset if Obama wins and that I hoped they wouldn't think that all of a sudden God isn't in control. He is most definitely in control and He purposes are way bigger than ours. Though, I don't see how a Christian could vote for Obama. The moral issues are against God and have more of a Darwinian, Humanistic, Socialist ring; and the non-moral issues shouldn't be a concern to those that trust God (healthcare, economy, etc.). Well, it's done!! I'll be flattening all my images and uploading to Scrapbooks to Share today! Woohoo! I'm really pleased with this album! I think my technique for digital scrapbooking is getting better with each layout. I've come to really rely on the great ladies at Scrapmatters. The gallery is always busting with inspiration and now that I'm on the SMG, I have even more reason to go to the gallery. I'd love to know what you think of the layouts. Favorite one? Leave me some love!!! And my upcoming projects... pages for my sis's birthday (Saturday! better get busy), organizing my scrapbook supplies in ACDSee, and starting my Library of Memories. If you want to see the pages individually, you can just click the picture and it will bring up another tab directly to slide.com.